The inspiration source for MFC Stencil Borders Six are stencil patterns from the circa early 1900’s Blue Label Brand Stencil booklet. The original designs were produced as single color stencils designs, mostly as trims (without corners to complete them as borders). We've not only added corners to make them fully functional borders, but we've also created two-color layerable chromatic styles, for more fun and diversity. For the first time, this decorative border collection is available digitally. 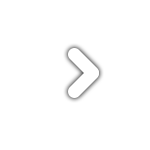 Make certain that the point size of the font is the same as the leading being applied to the font so the borders will meet up properly. While we've adjusted this within the font, your program may override these settings. 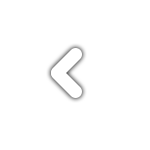 For instance a 12 point font should have 12 points of leading. 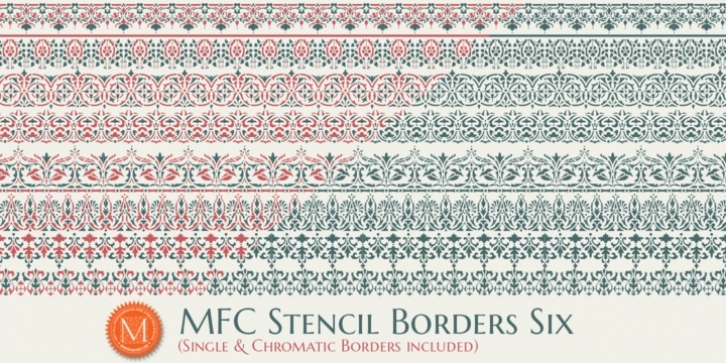 A PDF guidebook for MFC Stencil Borders Six is available via the Gallery tab.